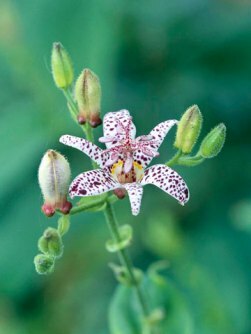 One of my all time favorites, and a recent top choice by GardenWise as a “must-have” Fall 2011 garden favorite, is Toad Lily (Tricyrtis.) As I earlier wrote, Toad Lily, with its beautiful orchid-like white flowers, purple flecks and graceful arching growth habit, compels anyone who gazes upon it to stop and take a closer look. Are Your Plants Teetotalers or Problem Drinkers? 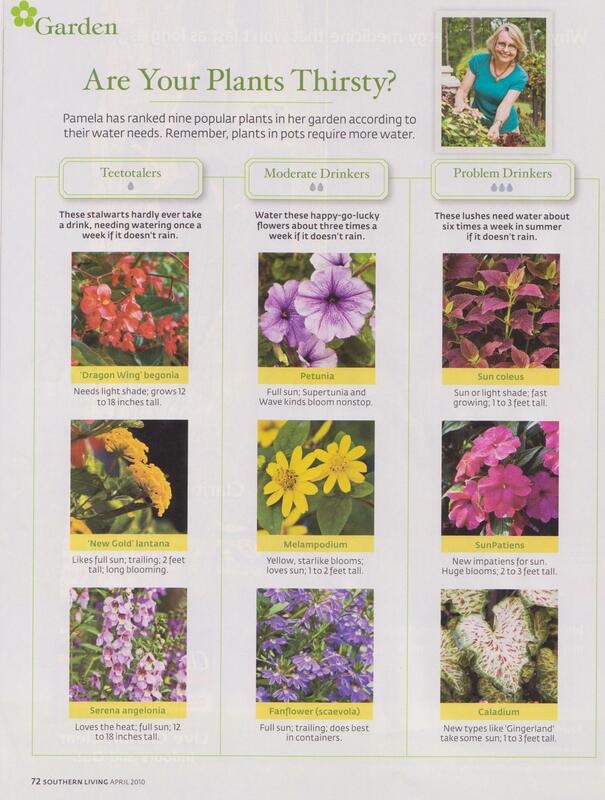 Author and gardener Pamela Crawford is profiled by Steve Bender in an old issue of Southern Living. Pamela is an expert on growing beautiful flowers while saving water, money and time. In the profile, Pamela provides Southern Living readers with a ranking of nine popular plants according to their water needs , Teetotalers (“these stalwarts never take a drink”), Moderate Drinkers (water 3x a week), and Problem Drinkers (water 6x a week). Many who have a passion for gardening know that working with plants can be good for us both physically and mentally. Gardening can be a moderate, and sometimes strenuous form of exercise that incorporates many important elements of accepted exercise regimes, such as stretching, repetition and movement, and even resistance principles similar to weight training, while burning calories. 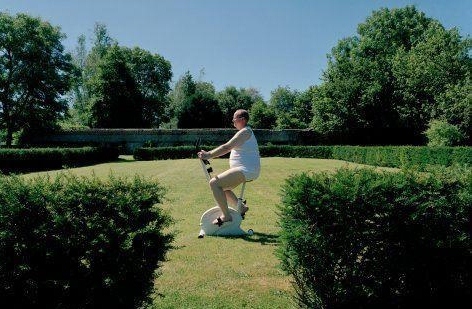 It’s important to be sure to warm up your muscles by stretching a bit before gardening. It’s also very important to use proper techniques for lifting objects, bending, or carrying — bend with your knees! You don’t want to end up indoors on a beautiful summer day with a pulled back muscle! Unlike many exercise options, when keeping up with a growing garden, you can stay fit while taking the time to smell the roses! This week, GardenWise concludes its five favorite Garden Delights, in no particular order, for Fall 2011. Yesterday we looked at the strking Aster, heated things up with the Dwarf Burning Bush, and earlier marveled at both the Toad Lily and Pink Muhly Grass. Today we’re showing off the Yellow Twig Dogwood. Many know of the Red Twig Dogwood, which is a beautiful shrub I enjoy for the fall. In fact, I have some on my own property, but my Dogs don’t play alone — they have companions. They play with the lesser known Yellow Twig Dogwood (Cornus stolonifera,) which provides a beautiful yellow color, and makes the list of “must have” garden delights for Fall 2011. I like the Yellow Twig Dogwood for its bright yellow branch and twig color which are also fantastic for Winter. This shrub develops in great clumps and is a wonderful contrast against any Red Twig. Oval-shaped green leaves turn to orange-red in Fall, followed by white fruit tinged with green. 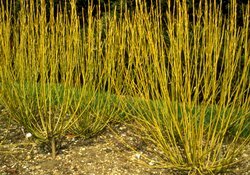 The Yellow twig dogwood will tolerate wet soil, and can be grown in full sun or part shade. Some companion plants for the Yellow Dog is a variegated hosta, or something with a dark green larger textured leaf, such as Helleborus ‘White Lady’, also one of my new favorites. I have to mention an additional variety of the Red Twig Dogwood — the Variegated Red Twig (Cornus alba ‘Elegantissima) which has a very bold variegated leaf that will add interest to your garden year round. I have two clumps in the front of my property that makes my front yard with its predominately all white garden flowers is a strong statement that passersby always stop to ask about. This week, GardenWise continues to look forward with our five favorite Garden Delights, in no particular order, for Fall 2011. Last week we heated things up with the Dwarf Burning Bush, and earlier marveled at both the Toad Lily and Pink Muhly Grass. Today is day four of our series, and we’re showing off Asters! There are so many asters to choose from . 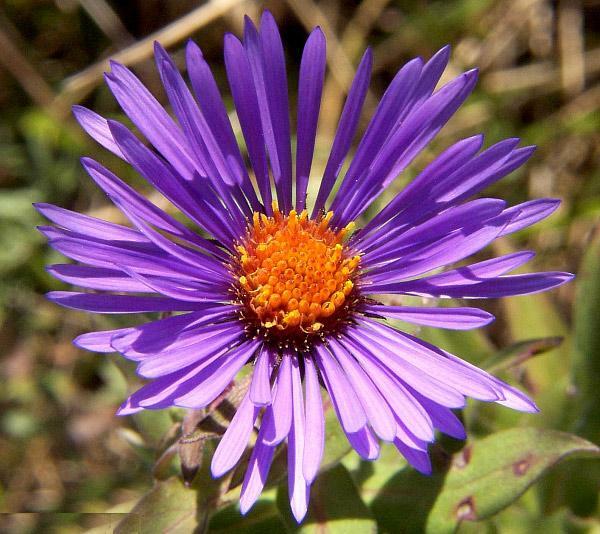 . . the word aster has a Greek origin and means “star”, which is what the flowers resemble. I planted the Monch Aster in my garden last year, but for this post, I’m going with the New England Aster (Symphyotrichum novae-angliae) for its striking and contrasting colors of purple and orange-yellow. These Asters have hairy stems and leaves, and they possess an abundance of purple rays set against a beautiful deep yellow-orange center. Each time you see this flower you may find yourself staring. Go ahead, staring is okay, even encouraged. You may even want to get close enough to count the flower’s purple rays, which can number anywhere between 50-100. The average height of this Aster is between 3-4 feet (some are known to grow as tall 5-6 feet,) and they attract butterflies and both honey and bumble bees. This Aster is non-invasive, prefers full sun (it can survive with some morning shade,) and it blooms from August – October. GardenWise is looking forward with our five favorite Garden Delights this week, in no particular order, for Fall 2011. Yesterday we started with an all-time eye-catching favorite, Pink Muhly Grass. Today we look at what I think is a garden must have, one that I’ve blogged about many times and just cant get enough of, Toad Lily. With its beautiful orchid-like white flowers with purple flecks and graceful arching growth habit, Toad Lily (Tricyrtis hirta) compels anyone who gazes upon it to stop for a closer look. A must have for any Fall garden, the Toad Lily blooms from late summer through the fall season and happily grows in the shade, providing an unforgetable eye-catching colorful interest. The plant typically stands 1.5-3 feet tall and 1-2 feet wide, and can be planted in a border with moist well-drained soil, or in a shady nook under a grove of flowering trees for a fantastic fall display. Toad Lily – a “must” for Fall 2011!